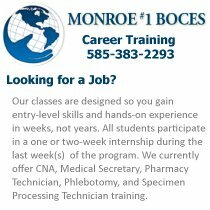 Rochester-area Healthcare and Medical Job Opportunities - Rochester Health Get Connected. Post a Job: Medical Professionals & Healthcare Organizations can post local job openings by creating an account with Rochester Health...click here for information. A centralized and current listing of healthcare employment opportunities posted by local medical and dental offices, hospitals and other healthcare organizations. Use the form below to search our database of local job opportunities. Organizations with a large number of job opportunities please contact Rochester Health about bulk submission of job postings.